Up until a couple of months ago, my toddler ate whatever I put in front of her. She’s still a great eater, overall. However, she has regularly started turning her nose up at veggies. I keep offering her veggies at every easy homemade recipe. I know this is the best way to eventually see her getting back on the veggie eating band wagon. In the mean time, I’m looking for ways to sneak veggies into her meals. 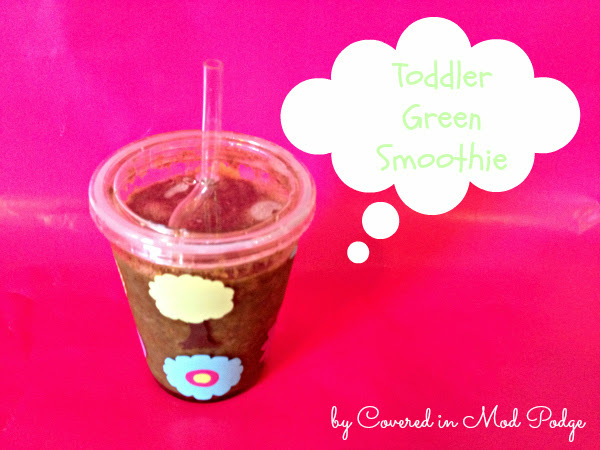 These toddler green smoothies are a great way to hide some veggies in a yummy tasting drink! I use my food processor because my blender is a bit of a wimp. The food processor allows for you to really pure the living daylights out of the spinach and carrot. This is the key for creating a drink with a good texture. 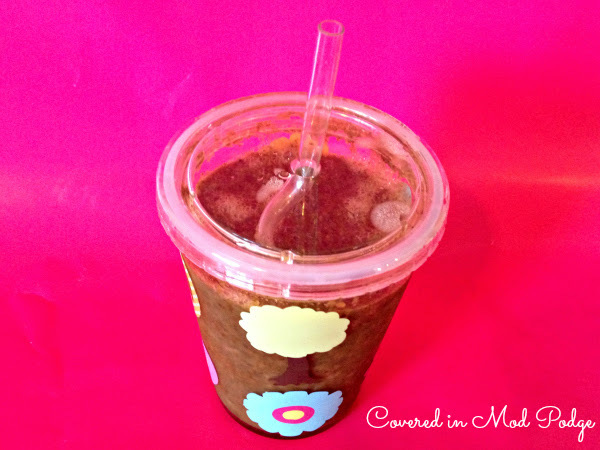 Start out by blending your spinach and about 2 tbps of water or milk for 2 minutes. Scrape sides occasionally. Then, add your carrot. Blend again for 2 minutes, scraping sides as needed. This should leave you with very well pureed carrot and spinach. Now, add your Greek yogurt and blend until combined. Then, add the berries and blend for about a minute (more if using slightly defrosted berries). Finally, add your banana and bled for another minute. Add more milk or water, 1 tbsp at a time, if you need to thin out the mixture. Pour a glass for your toddler and then store the second serving in an airtight container. It should keep for about two days. So does this taste like a pile of veggies? Nope! Banana is the most prominent flavor. You can taste the berries and yogurt as well. I think it’s tasty! Both my husband and I have been known to drink the second serving rather than giving it to our daughter the next day. Hopefully, the little miss will start remembering that veggies are yummy. Until then, I’ll keep looking for ways to increase her veggie intake in secret. Do you guys have any hints or recipes! I’d love some ideas! 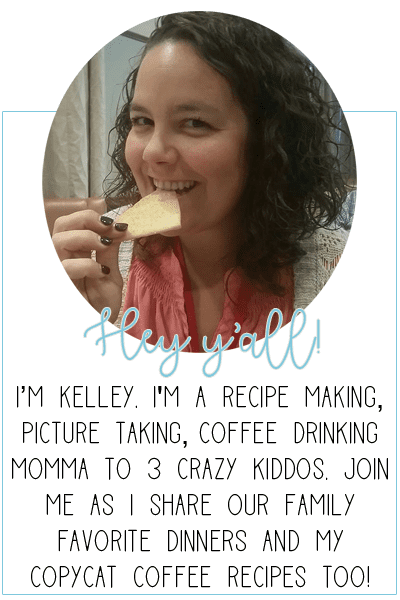 Michaela is a California girl living in Texas with her husband and nineteen month old daughter. She is a MSW student currently interning with a large, urban school district. Between interning, school work, and a ball of energy toddler, she tries to find a little time to sew and craft. You can find her exploits in crafting, sewing, cooking, and being a mom at coveredinmodpodge.blogspot.com.